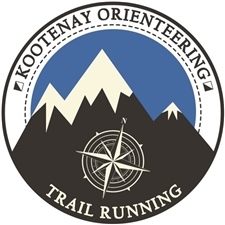 The Kootenay Orienteering Club (KOC) will be hosting the combined 2019 BCOC and WCOC’s in the East-Kootenays with races around the towns of Kimberley and Cranbrook, on the weekend of September 6, 7 and 8. KOC has previously hosted major events over the years (NAOC 2010, BCOC 1986, 2007, 2014, Round the Mountain 2010-2019), and in doing so has shown the orienteering community that it holds very well organised and successful events. There will be three races, a sprint, a middle, a long, a model event and a banquet! All races will be on new or fully revised high quality maps with incredible terrains. Open classes will be available on all courses for each race for recreational orienteers. There are plenty of outdoor activities to do in the East-Kootenays for families … checkout our local info accommodation and tourism info! Friday 7: At the Elks Hall, 240 Howard Street, downtown Kimberley, Friday 7, between 15h00 and 19h00. Please bring your SI stick (number check). Renters will collect their SI stick at the registration. If you are not a member of an Orienteering Club, you will need to purchase a CA$5.00 KOC membership. This is an insurance requirement in advance or at registration. If you have not signed the KOC waiver in 2019, then you will need to complete and sign a waiver when you come get your registration package. There are no special clothing regulations. Full leg cover is recommended for the middle and long events. Protective eye-wear can be advantageous, but is not required. All competitors must carry a whistle for safety purposes. The start crews will check that you have a whistle with you. You will not be allowed to start the middle or long events unless you have a whistle. Whistles will be for sale at the package pickup and the Event Centre for CA$2.00 cash. Please bring your SI stick (number check) and compass. Renters can collect their SI stick at registration. If you’ve rented an SI stick it’ll be available at registration to pick up. Please return it at the finish after the Long! A watch enables participants to adhere to course closure times and individual time limit (GPS watches are allowed). There is no oﬃcial embargo for this event however please stay away from the following areas: The area north of Norton Ave. and south of Gerry Sorenson Way, the Forest Crowne area in general except for the model event and from the forests near The College of the Rockies, Cranbrook. When warming up, please stay on warm-up maps and out of the competition terrain. SI punching and time-keeping will be used for all events. Competitors provide their own SI or can rent an SI from the Event Centre. If for any reason you will be using a diﬀerent SI-card from that shown on your entry, you must notify the organizers of the new number by completing a change form at the Event Centre (there is no charge for this change). Each control is equipped with a control flag, one or more SportIdent (SI) electronic control units and possibly a radio unit on radio controls.The control code is located on top of the SI unit. Where a control has more than one SI unit, the competitor may punch either unit. Time keeping will be recorded to the whole second for all competitions. Control descriptions are in accordance with the 2018 IOF International Specification for Control Descriptions. This includes the distance from the start line to the start control. Control descriptions will be printed on the map. Loose control descriptions will be available in the start grid at the T-2 minute line for all events. Loose control descriptions will be on plain (non-waterproof) paper: competitors are encouraged to bring control description holders. There will NOT be clear tape available for those without a control description holder. Competitors in Classes F10, M 10, and Open1 will have both English language control descriptions and IOF symbol control descriptions printed on the map. Every event has a silent start process. Competitors are requested to respect the quiet zone throughout the start grid, starting at the T-3 (start time minus 3 minutes) pre-call-up. It is the competitor’s responsibility to watch for their assigned start time and be on time. The start crew will not call out for late/missing starters. Competitors are responsible for clearing and checking their SI-card. Clear and Check will be located just before the T-3 minute pre-call-up line. The clock at the pre-call-up line will display T-3 minutes. An oﬃcial will check oﬀ the competitor name, verify the SI number and confirm that each competitor has a whistle. Competitors without a SI stick, or whistle will not be permitted to start. A check unit will be punched by the competitor to ensure the SI has been cleared. At T-2 minutes, competitors can pick-up the appropriate loose control description sheet. The sheets will be clearly labelled by Class. No clear tape is provided. At T-1 minute competitors will be sectioned by course – those on courses 1, 2 or 3 will proceed in a separate chute to their labelled map boxes with maps facing down. They will write their name on the back of their map and be permitted to flip their map over and review their course. All other Classes will proceed to their appropriate map boxes, write their name on the back of their map, but leave their map face-down in the box (as usual). The start clock will beep once at T-10 seconds. At this point the competitor may take their map from the bin, but may not yet look at it. The start-countdown will be indicated by a series of 6 beeps at -5 to 0 seconds. At the last (long) beep the competitor’s race time begins and the competitor may cross the start line and look at their map. The competitor is responsible for ensuring that they have the correct map for their Class. All competitors must follow the marked route to the start point which is indicated by a triangle on the competition map, and by a control stand and flag in the terrain. There is no SI unit at the start flag. Competitors in the Open categories do not have assigned start times, but must start within the start window listed in this bulletin. When an open category competitor wishes to start they should talk to a volunteer at the T-3 pre-start call-up line. The volunteer will slot the Open competitor into the next available start slot on the course. The open competitor then follows the start procedure as described above. Competitors arriving at the pre-call-up line more than 2 minutes late must report to a volunteer at the T-3 call-up line. than half the start interval after their assigned start time, they will have to wait until the half start interval after the next starter. This is to ensure that a late-starter does not interfere with, or start too close to, someone on the same course. The results of competitors who start late will be based on their original, assigned start time (with no time compensation). Only if their lateness is the fault of the organizer will their actual race time be used. Any competitor who starts late, whether through their own fault or otherwise, should not discuss this with the start oﬃcials. Instead, if the competitor believes the organizer is responsible, they should make a complaint at the Event Centre/Download tent within 30 minutes of finishing the race. The competitor’s time ends when they punch a finish unit at the end of the finish chute. Upon finishing, competitors hand in their maps and proceed directly to the download station, receive a printout with splits, and confirmation that all of the controls have been visited in the correct order. If there are any missing punches, the competitor will be directed to the results area for resolution. Refreshments (drinks and snacks) are available for finishers after the download. All competitors, whether they finish their course or not, must download. This is a safety procedure so that we can be certain that all competitors are oﬀ the course. If a competitor misses one or more controls, does not visit the controls in the correct order, or exceeds the maximum time on course, they will be disqualified. All races have a course closure time and an individual time limit. All participants MUST report to the finish before course closure and download immediately. All rental sticks must be returned to the Event Centre after the last competition, or you must pay the fee for lost sticks. An announcement will be made when maps are available for pick-up in the Arena. Please take your own map. Maps not picked up will be available the following day at the event. Competitors participate in each event at their own risk and must take their own safety precautions. Use common sense. Competitors must sign the event waiver. Competitors are responsible for any injuries that might occur to them during the races as well as for any accidents on the way to and from any event. First Aid will be available at the FINISH for all events. To reduce unnecessary pressure on First Aid services at the events, competitors should bring their own basic first aid kit and sports tape. 911 is the Canadian emergency number for ambulance, fire and the Royal Canadian Mounted Police (RCMP). Contact an event organizer before you call 911 from an event site. Ideally, have an organizer call 911, to provide directions. In the event of an emergency, competitors are required to follow the directions of the Emergency Response personnel. The forest events take place in a wilderness environment, with wild animals such as bears, cougars, wolves, moose, aggressive dear and stinging/biting insects. Participants are unlikely to encounter wildlife while orienteering, but it is possible. If a bear is encountered it will likely be a black bear though grizzlies can also be seen. For those unfamiliar with bear and other wildlife encounters, please check out the links about wildlife safety in the FAQ page of this website. All competitors shall behave with fairness and honesty. Attempts to gain any information related to the courses, beyond that provided by the organizer, is prohibited before and during the competition. It is not permitted to bring previous orienteering maps of the competition area to the event. Spectators are not allowed to enter the competition terrain before and during the competition. Everyone must follow the routes specified by the organizers to reach the parking, event arena, and start. Competitors are not allowed to re-enter the competition area after they have finished their race and before course closure without the permission of the controller. At all times, respect local people, private property, fences and walls. A competitor who breaks any rule, or who benefits from the breaking of any rule, may be disqualified. Sprint and middle awards will be presented at the banquet on Saturday evening at approximately 7:30pm. Long awards will be presented in the long arena as soon as possible after the race, approximately 2:15pm. The top three finishers in each category will be acknowledged . 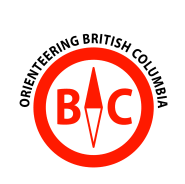 Orienteering Canada rules apply for all BCOC / WCOC events. Eligibility for championships is open to all residents of British Columbia, Alberta, Saskatchewan, Manitoba and the Yukon. A resident is defined as a person who has resided in the above for at least 6 months prior to the event and is a current member of a Western Canadian orienteering club. Non- residents are very welcome to participate. Any protest must be filed in writing within 30 minutes of course closure at the event registration or finish.